CPCC Theatre is happy to announce the cast of The Music of Andrew Lloyd Webber. Fans of musical composer Andrew Lloyd Webber will delight in attending this revue featuring several of the writer’s most beloved songs. 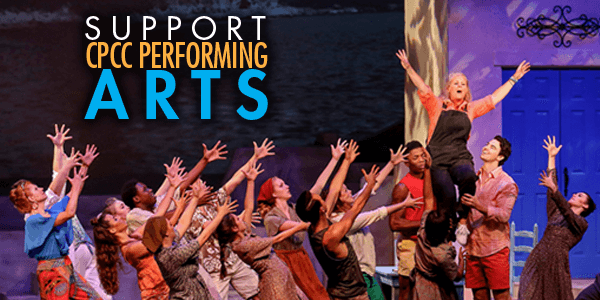 Audiences will enjoy performances of “Memory” from “Cats,” “Music of the Night” from “The Phantom of the Opera,” “Don’t Cry for Me Argentina” from “Evita,” “I Don’t Know How to Love Him” from “Jesus Christ Superstar” and many others. Pease Auditorium will permanently close in January 2019 after more than 50 years of memorable productions, performances and events. Pease Auditorium and the aging building that surrounds it – the Hagemeyer Learning Resource Center (LRC) – will come down and be replaced by a new, state-of-the art library for Central Piedmont’s students. The new LRC will also include a replacement of the existing Pease Auditorium and gallery. Join CPCC Theatre for this unforgettable musical performance, as the troupe honors one of Broadway’s most prolific composers. Tickets will likely sell quickly for the final performances in Pease, so reserve your seat today at tix.cpcc.edu. WHEN: October 26, 27 and November 1, 2 and 3; 7:30 p.m.
October 28 and November 3 and 4; 2:30 p.m.
As part of the special farewell to Pease Auditorium CPCC Theatre will hold a special reception on Thursday October 25th from 6:30pm to 7:15pm in the Pease lobby for everyone who has every performed or worked backstage in a CPCC show in Pease. The first 400 who RSVP to Tom Hollis tom.hollis@cpcc.edu may attend the reception and the performance that follows at 7:30pm.